Fishing village a visit to one of Kelantan's quaint fishing villages should not be missed. Two well-known villages are Kuala Besar and Kampung Sabak, both only 15 km the capital. Fishermen normally put out to sea at dawn and return in the early afternoon to sell their catch on the beach. Haggling over prices and the sorting and weighing of the catch provide an interesting cacophony against the picturesque backdrop of gaily-painted boats lining the beach. 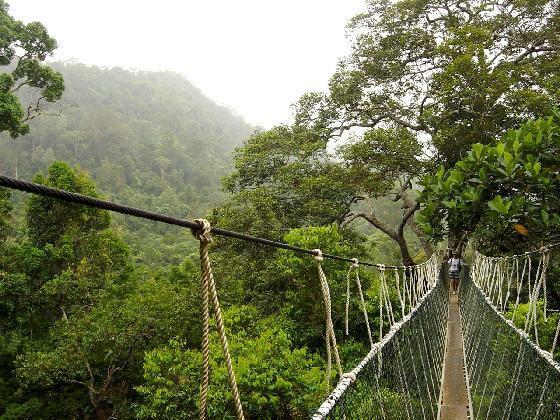 From Dabong you may return to Kota Bharu by train or, head to Jelawang for jungle trekking. Chalets are available and various jungle trails have been laid. 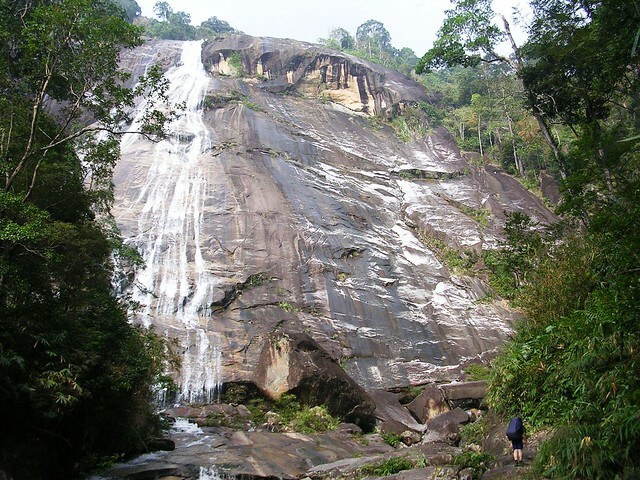 A 1 1/2 hour trek will take you to the spectacular Jelawang Waterfalls. Gua Musang is another alternative that can also be reached by train. 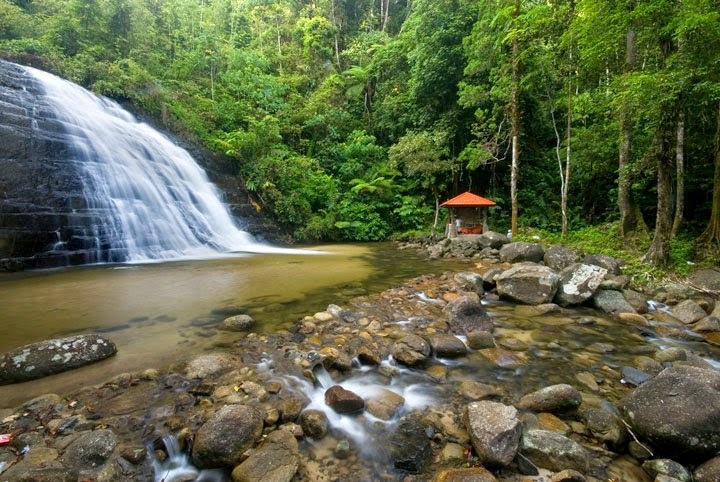 Well known for its limestone caves, cave temple and the Lata Beringin waterfalls, Gua Musang is only a 2-hour drive from Taman Negara (The National Park). 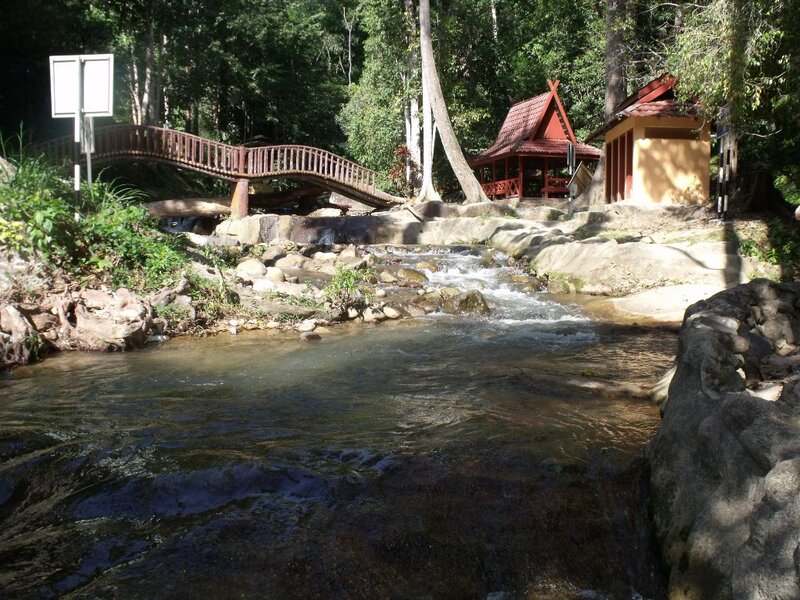 The Kedasar Inn, located at Gua Musang old town can arrange visits to a goldmine, a deer park, an ethno-botanical garden and aboriginal settlements as well as organising river rafting and cave explorations. A summer camp, complete with various obstacle and fitness courses, provides leadership and youth training programmes. 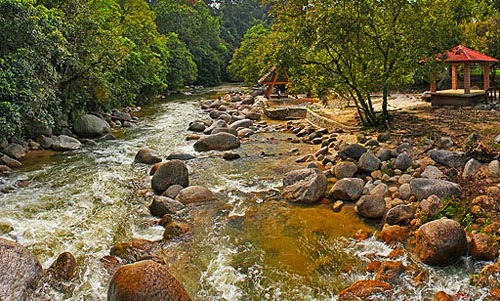 Kuala Koh, two hours drive from Gua Musang is the northern entrance to Taman Negara and serves as the Park Headquarters in Kelantan. Chalets are available at Kuala Koh, and a small restaurant serves basic fare. 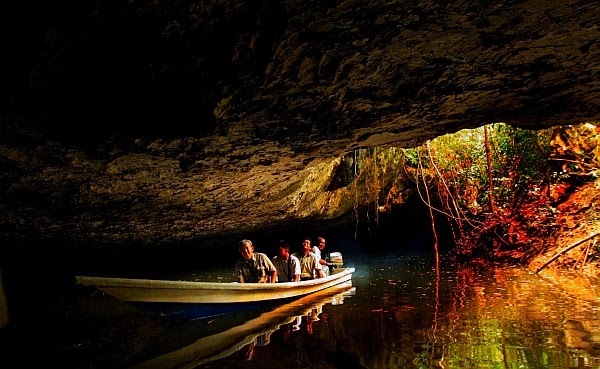 Arrangement for guides, however, should be made through an accredited tour operator in Gua Musang, where transport can also be arranged to Kuala Koh, if required. For bird watching enthusiasts, it is possible to see quite a variety of birds in a couple of days and for anglers, the pristine river offer some excellent sport fishing. The whole area offers superb opportunities for photographers, the diverse flora and fauna in the emerald forest providing perfect settings, colours and contrasts. 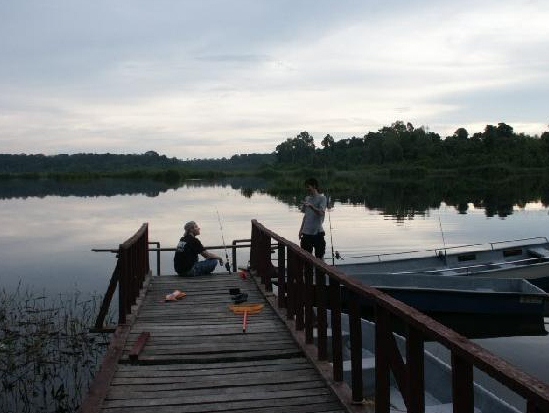 There are many river-based activities around Kuala Koh. Kayaks, bamboo raft and inflatable can be hired. 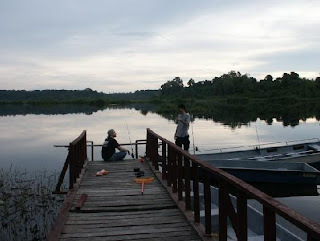 However, anyone planning any serious river activities should check with the wildlife and National Parks Department at Kuala Koh on river conditions before setting off. 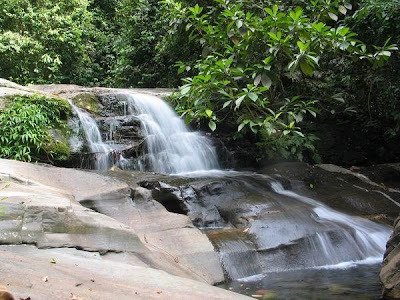 A new trail has also been laid to Gunung Tahan, the peninsula's highest peak, from Kuala Koh. It is actually a long and arduous trek rather than climbing as such, and is an excellent alternative to the more well known trails. There are, however many other jungle trails of varying distances and degrees of difficulty within the vicinity. And for those who wish to view life at the top of the jungle, a canopy walkway has recently been completed adjacent to Kuala Koh. 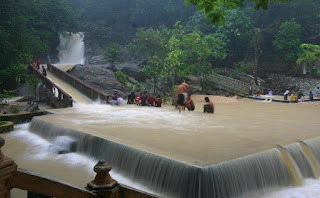 Waterfalls in Kelantan are major attractions for picnic and swimming. Jeram Pasu is just off the Kota Bharu-Pasir Putih road while Jeram Lenang is off the Pasir Putih-Machang road. 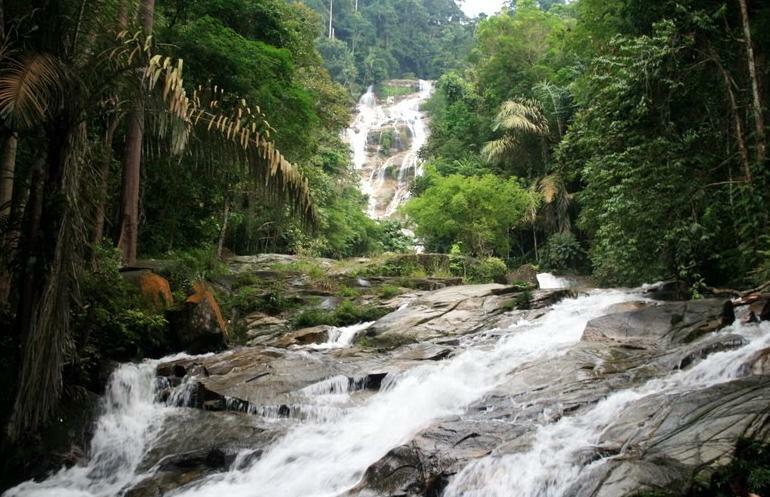 Lata Beringin, with its 120-metre drop, cool waters and lush vegetation is most spectacular and is found off the Kuala Krai-Gua Musang Highway. 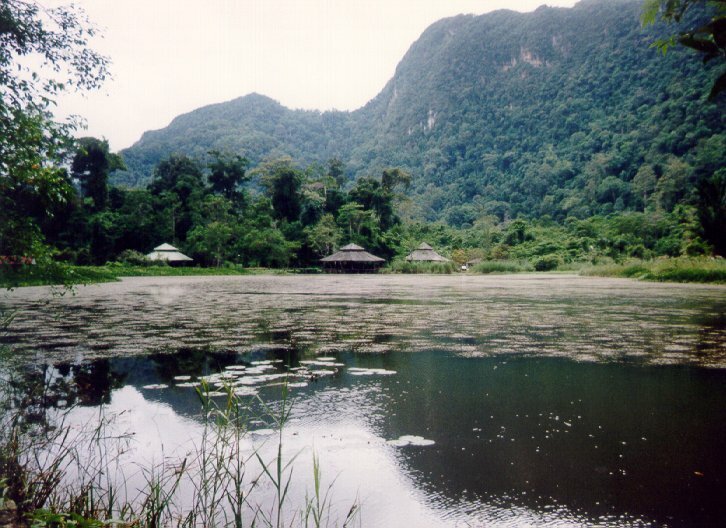 One of Kelantan's highest mountains, at 1,442 metres, it is reputed to hold hidden treasure in Gua Ikan (Fish cave), named after a solitary fish-shaped rock. The treasure is said to have been hidden during the Japanese Occupation. Kuala Gula is famous for the variety of exotic birds which come here to nest. 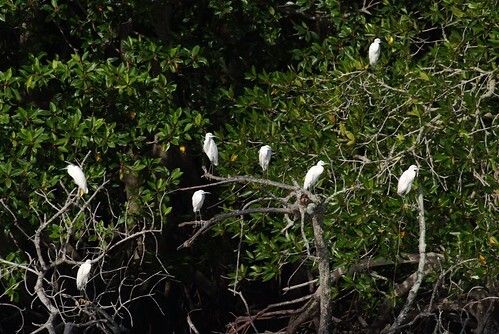 Over 100 species of birds, some of them protected, have been sighted in this area. Mammals can also be seen here, among them the smooth otter, dusky leaf monkey, long-tailed macaque and the ridge-back dolphin. The best time to visit is between September and December, when thousands of birds can be seen in the area. The Banding Resort, 35 km from Grik, is the ideal place for fishing enthusiast and those who really want to get away from it all. This remote resort covers 103.6 hectares next to the Temenggor lake at the mid-point of the East-West highway. 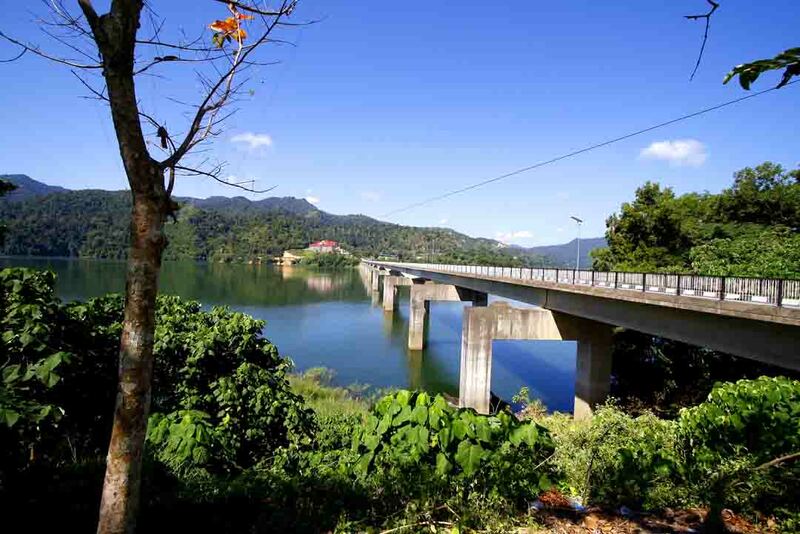 The lake delivers fish of generous proportions and there is ample apportunity for trekking, camping and picnicking. 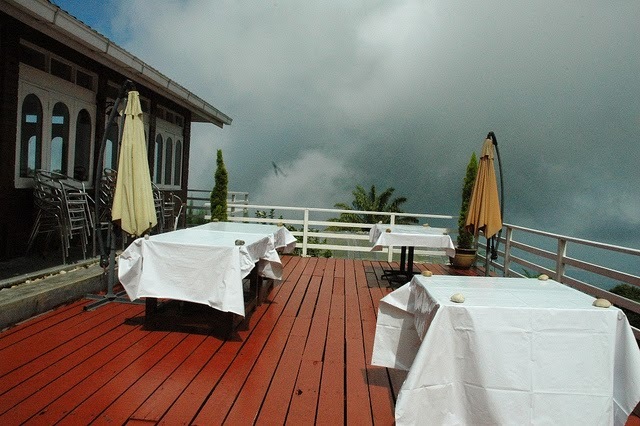 At present, there is a modern restaurant and resthouse which provides comfortable accomodation. Plans are underway for eapansion and improvement of the existing facilities. For reservations: 03-2423697 (Kuala Lumpur), 05-6835495 (Lumut), 05-6991100 (Pulau Pangkor). 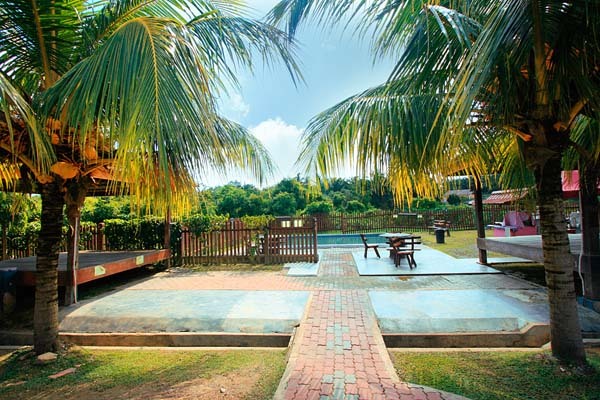 A 15-minutes drive from Ipoh towards Tanjung Rambutan brings you to the foot of limestone hill where a rejuvenating experience awaits you-an in-vigorating hot bath from a natural spring. The bath is open dailh from 3 pm to 12 midnight. 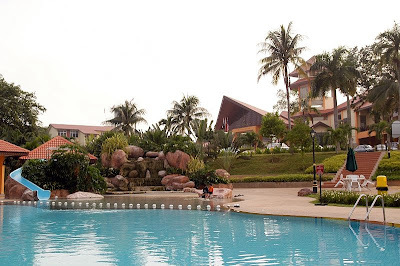 The facilities include saunas and rstrooms Entrance fee is RM5.00. Other hot spring in Perak are at Sungkai, Pengkalan Hulu, Kampung Ulu Slim in Slim River, Kampung Air Panas in Grik and Manong in Kuala Kangsar. 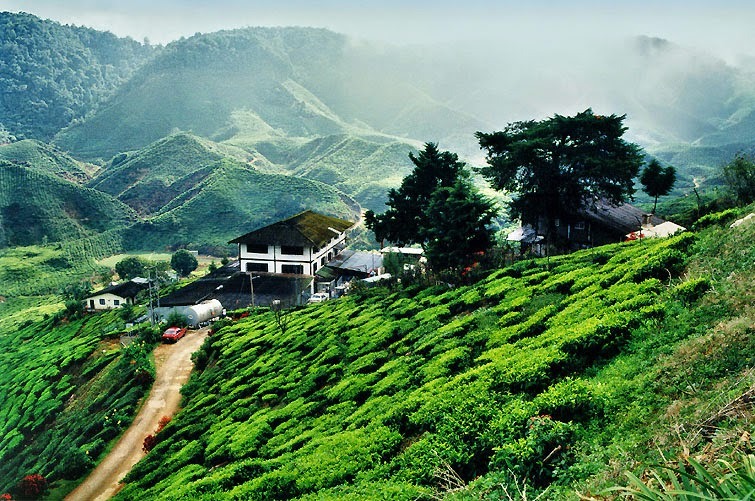 Situated about 13 km from Tapah, on the way to Cameron Highlands, Kuala Who presents a natural backdrop for fun-seekers to swim, picnic and fish. 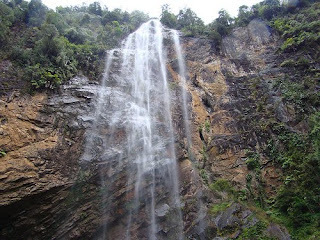 Interesting features include the natural hot-water pool, various waterfalls and Tebing Merbau. Orang asli, or aborigines, live in this area, according to their traditional way of life. They are friendly but shy by nature. Besides Lata Iskandar and Kuala Who, there are two other waterfalls sites which are quite popular: the Ulu Kinta Waterfalls, 16 km from Ipoh, and Batu Hampar near Taiping. Located about 18 km from Tapah. The main attraction at this waterfall is the impressive series of cascades winding down a 100-metre drop. There are parking bays and eating stalls for picnikers. Visitors may a;so visit an orchid garden and a bamboo park. 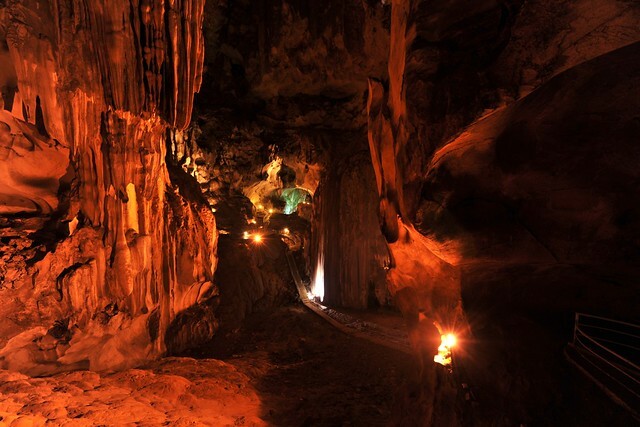 Believed to have existed since 8000 B.C., Gua Tempurung is probably the largest natural limestone cave in Malaysia. 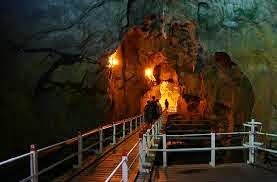 Situated about 24 km fron Ipoh, the cave stretches for 1.5 km and is made up of five hugh domes whose ceilings resemble coconut shells. 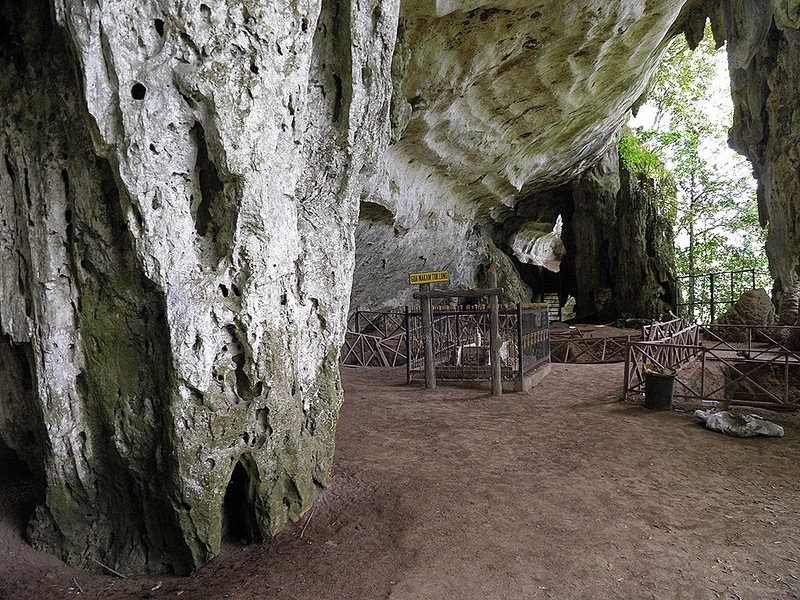 Each dome has different formations of stalagmites and stalacties as well as differing temperature, water levels, content of limestone and marble. 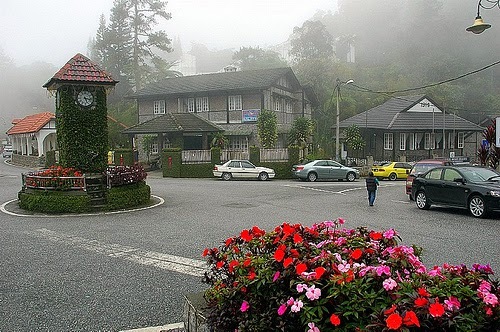 Malaysia’s oldest hill resort is located on Bukit Larut (formely called Maxwell Hill), it is accessible only by four-wheel drive vehicles. The road up twists and turns through tropical virgin jungle, the fresh green fragrance and cool air greeting you as you ascend. At the summit you a treated to a spectacular view of the west coast of the peninsular. 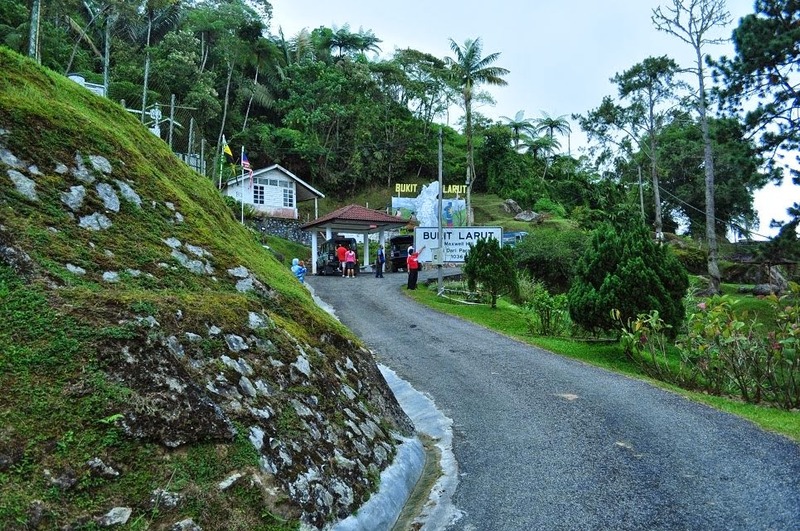 Visitors can either stay at the Bukit Larut Rest House or by making reservation through the superintendent of Bukit Larut, Taiping. Tel: 05-827243/ 827241. A Land Rover service at the foot of the hill is available at hourly intervals from 7 am to 6 pm daily. Fares are RM2.50 (adults) and RM1.00 (children). 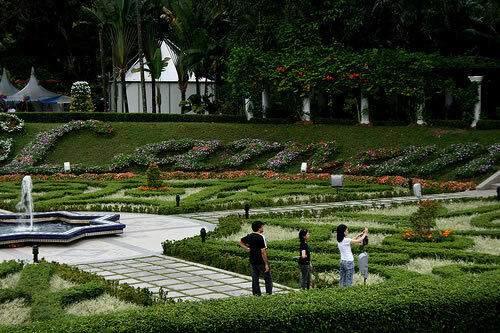 This 62-hectare park is one of the biggest and most beautiful parks in the country. 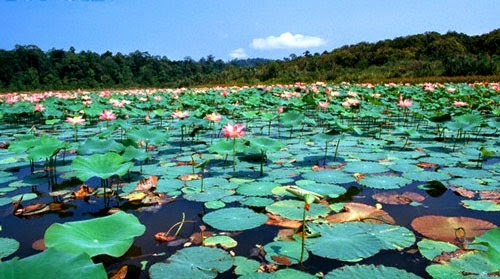 It offers lush greenery, a beautiful lake abounding with freshwater fish, a gazebo and a colourful profusion of flowers. 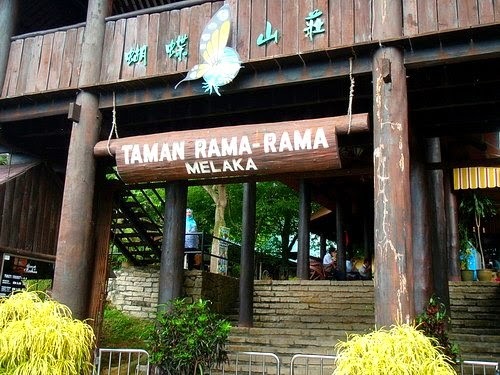 The Taiping Zoo, probably the oldest zoo in the country, is anpther attraction located within the Gardens. Open: 8.30 am – 6.30 pm daily. Fares are: RM3.00 (adults), RM1.50 (children), RM1.00 (secondary student with uniform), RM0.50 (primary student with uniform). Other facilities available at the Gardens include a rest house, fishing and aquabiking in the area. 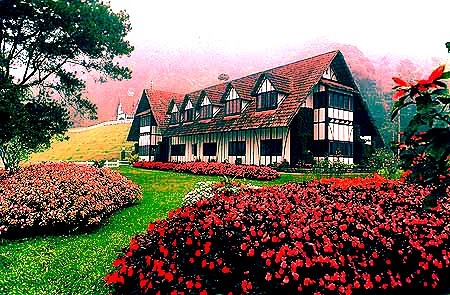 The fresh atmosphere and variety of flora are the main attractions of this park in Ipoh. Children can enjoy several recreational and amusement facilities such as the roller-skating rink, a playground and a mini-train course. 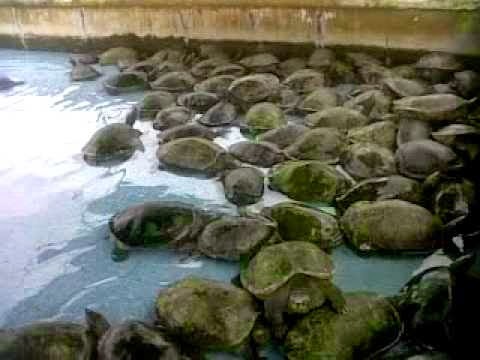 A breeding farm for ‘Tuntung’ (river terrapins or Bataqur baska) is located at Bota Kanan, about 40 km from Ipoh. Opened in 1967 by the State’s Dept. 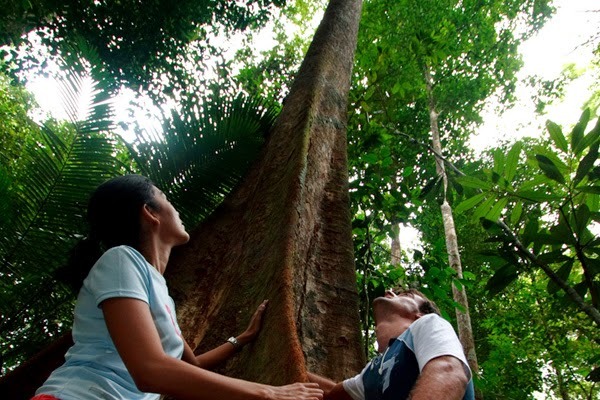 of Wildlife and National Parks, the primary aim of this project is the conservation of this species. 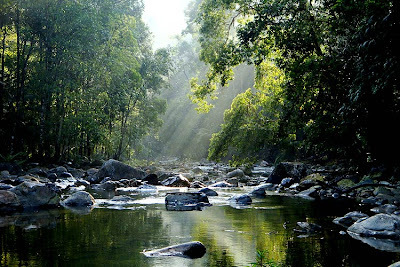 To date the hatchery at Bota Kanan has realeased more than 25,000 hatchings into the Perak river. Between November and March, visitors can witness migrating river terrapins laying eggs in the wilds. 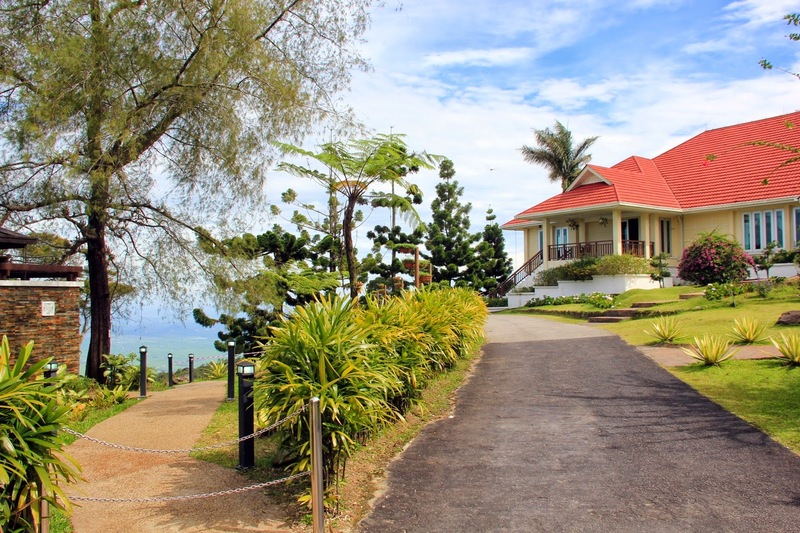 At Teluk Gedung lies the 300-year-old stone foundation of a Dutch Fort Built in 1670, it was one of the Dutch strongholds against pirates and local Malays. The fort was abandoned after it was attacked by a local warrior, Panglima Kulub, and his followers. Muzium Negara undertook its reconstruction in 1973. Popular as the spa among visitors from far and wide seeking therapeutic cure for skin disease. Handicraft shops and playgrounds have been made available to provide additional attractions for visitors. An ideal spot for family outing. The complex is an interesting place to take a glimpse at the underwater world in its natural setting. More than 50 species of fresh and saltwater fish are on display in a aquarium in the shape of a whale. The complex has been landscaped with cascades, caves, open ponds and ships. Birdwatcher’s paradise. An important lowland marking to migrating birds set in a serene headland forest punctuated by a blue lagoon and a beautiful beach. One of the world’s most comprehensive butterfly and insect farms with well over 200 local species including rare ones namely Raja Brooke and Birdwing. There is also a collection of more than 400 insect specimens. More than 44 species animals found in southeast Asia and Africa amidst natural setting. Rated the best zoo in this part of the country. It is an exciting place to discover the animal kingdom at your own pace. 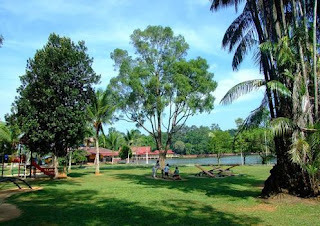 West of the city centre is the 100 hectare Lake Garden (Taman Tasik Perdana). Located on the Southwestern fringe of Kuala Lumpur cityit has a lake and two gardens within its boundary with a few interesting attractions added to it. 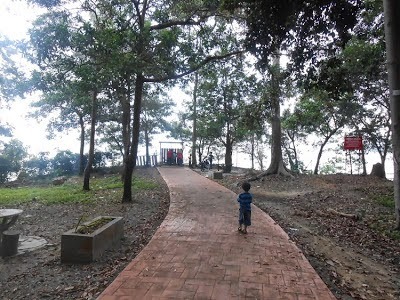 A shuttle bus service that begins from the lakeside near the children’s playground will bring visitors to various attractions within the garden. 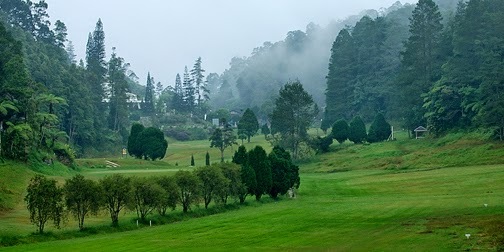 The Lake Garden has boats for rental, jogging tracks, a children’s playground, and a profusion of flora. Within the Lake garden near Jalan Parlimen stands the Kuala Lumpur Orchid Garden where more than 800 species of exotic orchids are grown. 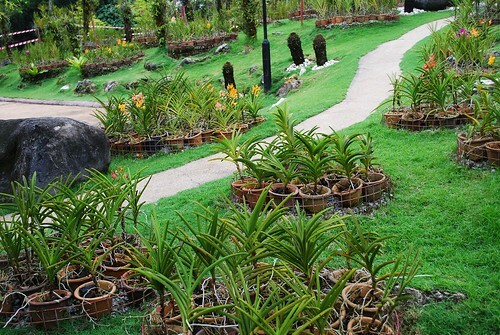 On weekends, this garden is turned into a lively orchid bazaar. 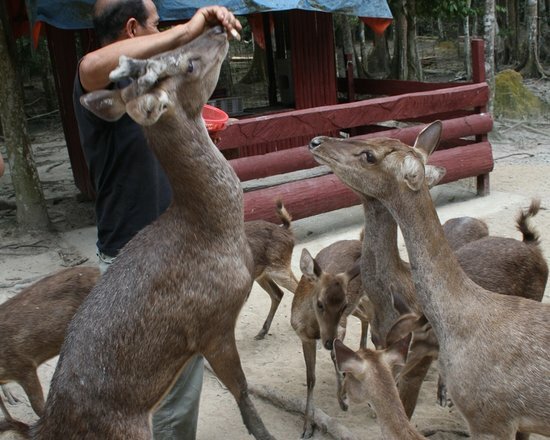 The Deer Park nearby, offers visitors a chance to feed fawns and does. 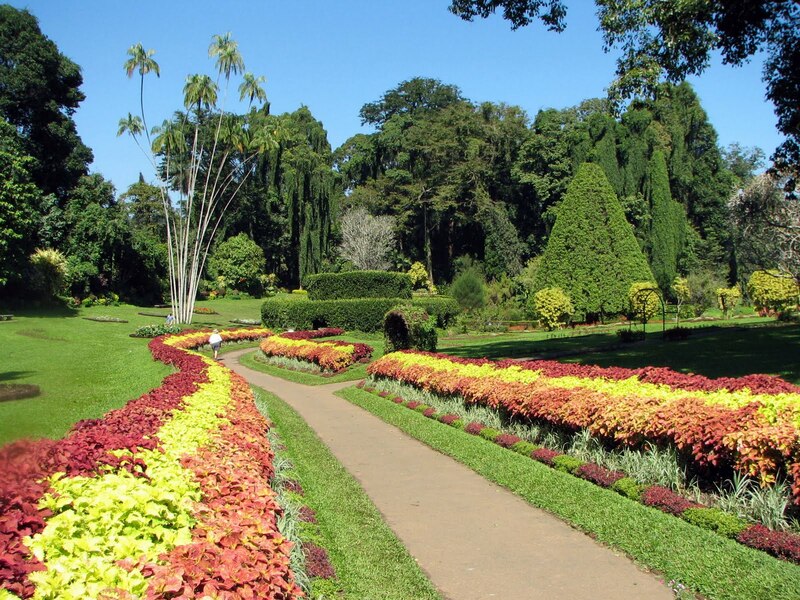 Nearby is the Hibiscus Garden where a profusion of more than 500 varieties of the national flower are grown here. 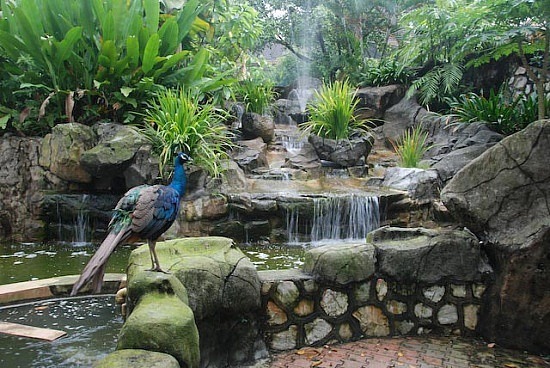 A Short distance from Hibiscus Garden is the Bird Park set in a huge netting enclosure. The hornbill, hawk Eagle, Brahminy Kite and Argus pheasant are among the more than 5000 birds that can be seen here. Another colourful attraction in the vicinity is the Kuala Lumpur Butterfly Farm. Flitting among the lush greeneries and flowers are more than 6,000 butterflies of over 1,230 species. An insect museum, a nursery and breeding area for butterflies nearby is worth a peek at. Opens: 9am – 6pm (daily). When I needed a shade canopy for my business. This company had great prices and selection.